When I graduated from my various professional programs and got my first “real job,” I knew I needed to start saving for retirement. I bought a home, but due to my employment situation, I didn’t have access to any employer-sponsored retirement plans. Instead, I tried to max out a Traditional IRA each year. When I took my next job, I was much more interested in personal finance and FI specifically. Luckily, I had access to good retirement plans in that position….but I kinda hated that job. I started looking at real estate as a way to expedite my exit from that place. After several months of study, I jumped in. I had a long-term disability (LTD) plan that could replace my income if I had an accident or found myself unable to work. The cost was about $40 a month. My first goal with real estate investing was to produce enough passive income that I could get rid of that plan. I estimated this would take several years and that my student loans should be paid off by that point, and I’d effectively be FI. That was basically the 5-year-ish plan. In order to replace my income, I knew I’d have to invest for cash flow, not appreciation. Based on my research, I knew “Class C” properties (i.e., those in not the best neighborhoods, more likely to have a payday loan place than a Starbucks on the corner) would cash flow the best. I also knew that given my background of working in various psychiatric and correctional facilities, not much could scare me. So Class C it was. After more research, I was willing to take Section 8 tenants. I took the necessary classes, did all the paperwork, and got down to business. I had initially planned to use property management, but couldn’t find a manager with decent reviews in the area. Ultimately, I decided to self-manage. I bought a package of duplexes for my first deal, which may still be my best deal to date. (It’s hard to get a great deal the first time around, so be sure to do your homework.) I looked up the property on our county real estate records database online. It turned out that the owner had a total of 12 rental properties. I noticed she had another unit for sale, but it wasn’t as sweet a deal. The first set of duplexes I bought from her met the 2% rule* with below market rent. This house was in the southwest part of Little Rock, Arkansas. 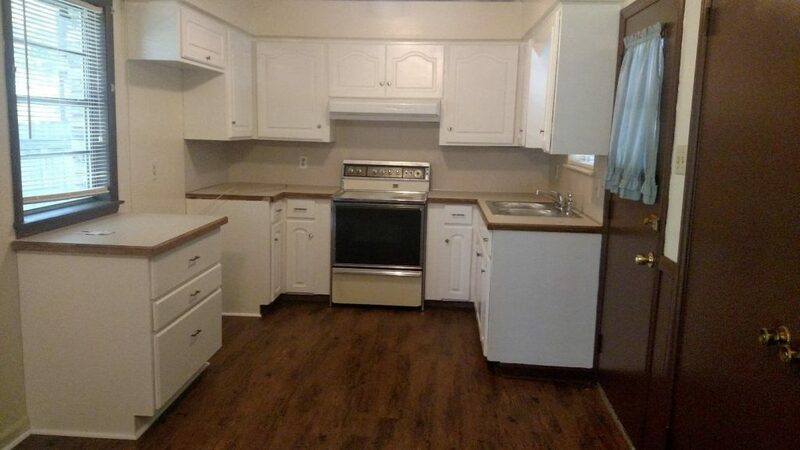 It had 3 bedrooms, 1 bath, a carport, the exterior was cute and it had a huge back yard. Admittedly, the crime rate there was high, but the neighborhood was acceptable. The HVAC unit was still in the backyard, the windows were there, and the door hadn’t been kicked in – it was fine. She stayed in the home for the 12-month lease plus 1 additional month. She left the home in good shape with normal wear and tear. When she left, her deposit covered the outstanding rent as well as some repairs. The home was clean and ready to rent again. Because of the vacancy, I did make sure the trash was collected on a few occasions and that the lawn was mowed after growing a little long. At the time, I knew another investor who was looking to buy a rental. They didn’t have a lot of money to put down. Instead of re-renting the home, I made a deal with him. I offered owner-financing with a low down payment, an interest rate slightly higher than current bank mortgage rate, with a 5-year balloon payment, and some profit upon cash-out. If this $4,971.47 was averaged out over 12 months, the annual profit would be $4,261.00. This would represent a 50.44% return on the initial investment. I use a mail handling service and pay a small fee to have a formal mailing address and have an accountant to do my taxes annually. These are business expenses, and they are spread between the two houses. I expect this cost per house to go down each year as I add more homes to my portfolio. I didn’t use a property manager. Always account for a 10% property management fee when running your initial numbers. With formal property management, this house still would have been profitable. These numbers don’t formally account for a vacancy, but note there were a few weeks of vacancy built in at the initial purchase of the house. This includes the time to show it, check the applicants, and then wait for the tenant to move in. That rent collected over 14 months represents approximately 13 months of collected rent. Over time, capital expenditures and additional repairs would have added more variability to my costs, although over time the rent would also go up. With real estate, the numbers can be a constantly moving target. This house represents one of 9 properties I currently own. I owner-financed almost all of them. My personal residence is one of those 9 and I AirBnB that home when I travel. I am aiming to close on a package of 4 properties with a partner soon. He will be local to help with the management. However, we are also going to audition a property manager on two of the properties with the long-term goal of finding a competent property manager. If this works, this will allow me to hold more rentals. Although real estate has its difficult moments, it has significantly increased my net worth. And when some of these owner-financed deals get cashed out, it will completely eliminate the remainder of my student loan debt. Real estate has meaningfully expedited my path to FI given my late start because of the additional years and expense of schooling. Do your research when starting to consider real estate. Be kind in business. Rachel knew that if she put in an offer that was too low, the owner might be offended. This could hurt her ability to do future deals with the owner. She still got a good deal, her offer was accepted, and she now has a connection that can benefit her down the road. Do the math. Will your potential rental meet the 1% rule at a minimum? Have you accounted for a 10% management fee and repairs? What is your goal for real estate investing? Know your goal when you start and it will help guide decisions. Real estate has helped in expediting our personal journey to financial freedom and will most likely end up playing a role as we get closer to FI. Do you think as you get closer to FI you will move towards Class B rentals that could be more stable, less labor intensive, but less rent? I actually tried that! 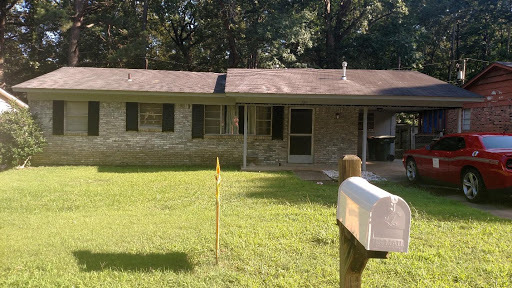 I bought a property later across from UALR. Honestly, I didn’t care for it at all. It may depend on the market, but it seemed to me like the higher the rent, the harder it is to find a qualified tenant, amongst other issues. I can certainly see why some people go that way, and I may try it again in a few years, but I definitely like my class C properties. I own those in several areas and so far SW LR is my favorite, so I’m going to stick to that niche as much as possible for the foreseeable future. These returns on your investments are incredible. You eliminate so much risk and the need to accumulate a massive nest egg purely due to how much cash flow your properties bring in. This is definitely a powerful strategy that many should consider on their path to FI. That is true. My two duplexes brought in about $2100 a month. When I had to put a new roof on one – the ALWAYS TERRIFYING HUGE EXPENSE OF A NEW ROOF – it was $3100. It’s crazy to be able to cash flow things like that, but very doable with a little bit of scale. I’d love to hear the other story for a different day! Sounds like you scored a great connection w/ that seller. My Grandma had a Section 8 rental home but I must say, I think she was “too soft” for this… she was taken advantage of a lot. I’d love to hear the mental and emotional boundaries you keep with the tenants. It sounds like this has been a wonderful avenue for you on your FI journey! Yes, there are an amazing amount of people who are “too soft!” The way I see it, if someone is past due on rent, I’m basically lending them the money for rent. I have never ever in my life loaned a friend $500+ dollars, so there’s no way I’m going to do that for a stranger. When I think of it like that, it makes it very easy for me. Rachel, I really enjoyed your methodical approach to building a real estate rental business. I believe you really start to gain economies of scale when you grow into 3 to 5 doors and start hitting your stride. Congratulations on providing a home for people, while pursuing your FI goals. It’s such a win-win situation you deliver. Wow. You go girl! More power to you. I accidentally bought a Class C house (despite my research saying B) and it didn’t go anywhere near as well as your experience. Parties, drugs, and evictions were the name of the game for me. I couldn’t handle it and got out. Bravo for being able to handle it! If there were parties, I didn’t hear about them 🙂 I suspect my tenant may have moved in a boyfriend who did some drugs there at the end, but she was a state employee and therefore drug tested (that may be a bit of a hint for something to look for in a tenant to other potential landlords! ), so I didn’t have any major problems with it. I’ve had to threaten eviction and even contacted a lawyer about filing once (for the other properties), but haven’t had to go all the way through. Luckily Arkansas is also one of the most landlord-friendly states around, so here we can have someone out in about 10 days if things go smoothly. There are definitely states where it’s not like that and I would be much more hesitant to be a landlord in those states generally, but especially for class C properties. 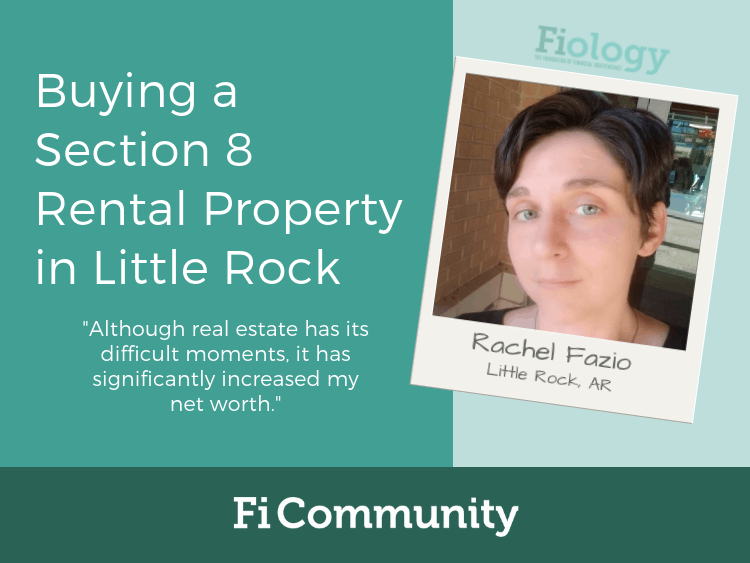 My wife and I have been very actively looking at rental properties in our area, and the thought of taking on Section 8 tenants has always been simmering in the background. One of my coworkers has a couple of rental properties, and the one that is section 8 is the one about which he complains the least! Thank you for this insight! I feel like this has given me a much-needed confidence boost! Absolutely! I very strongly recommend you buy the Section 8 Bible on Amazon. I know it looks a little pricey, but that book was invaluable to me in regards to my decision to take Section 8. It’s a bit specific to their market in terms of them talking a lot about row houses and heating systems, but the mindset they impart is probably the most important thing, like what you do and don’t have to have to meet criteria for inspection, how to tenant-proof things, etc. Good luck! Thank you for sharing! I am considering purchasing my first rental property in the next year or so but have a lot to learn. It sounds like you have mastered it and I hope to say the same one day. Keep crushing it!